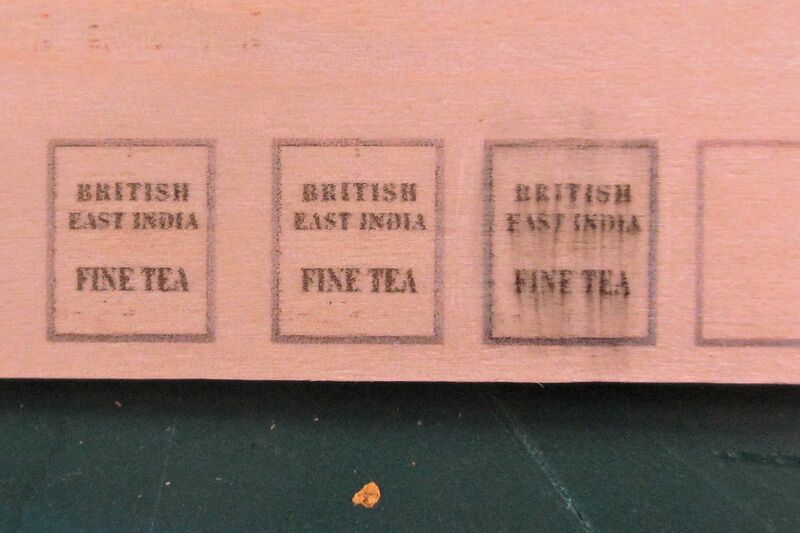 I’ve been making my own crates and tea chests from printable veneer. 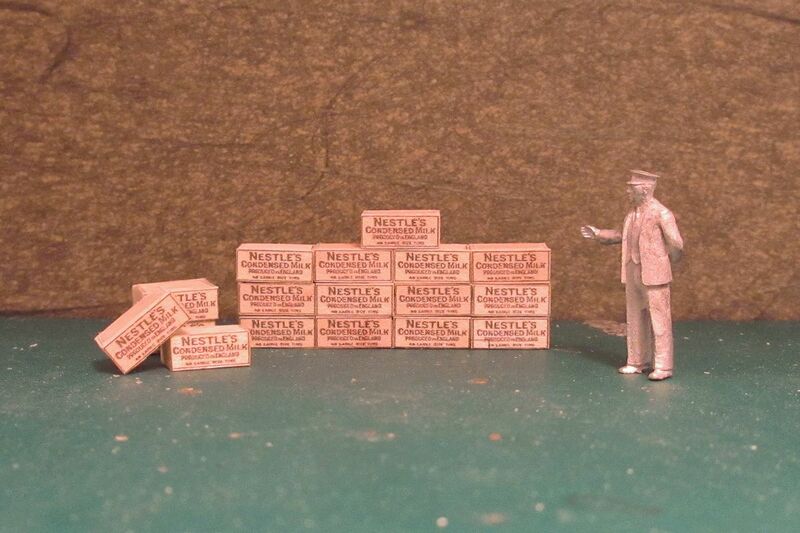 Today I installed them in the goods depot at Farthing. The mezzanine floor at Farthing was used as a storage facility. 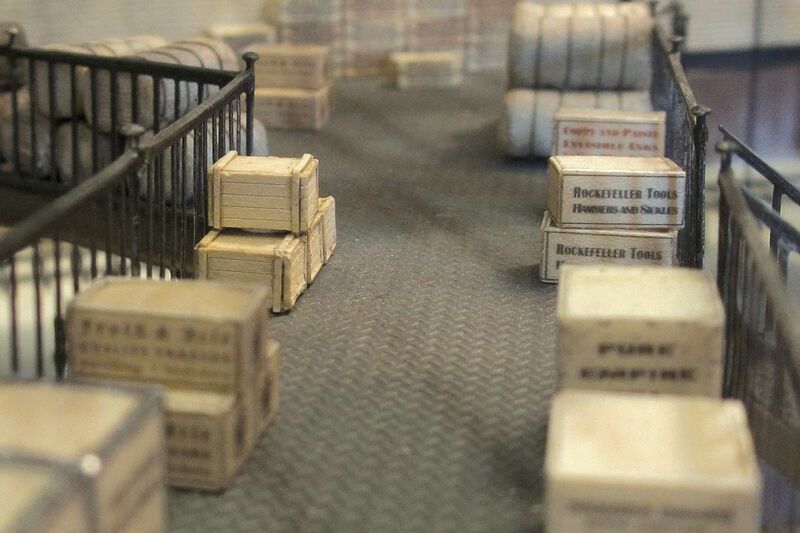 Traders could have their wares stored while awaiting despatch and distribution. Space was literally at a premium, and this floor was always tidier and more well organised than the busy decks below. 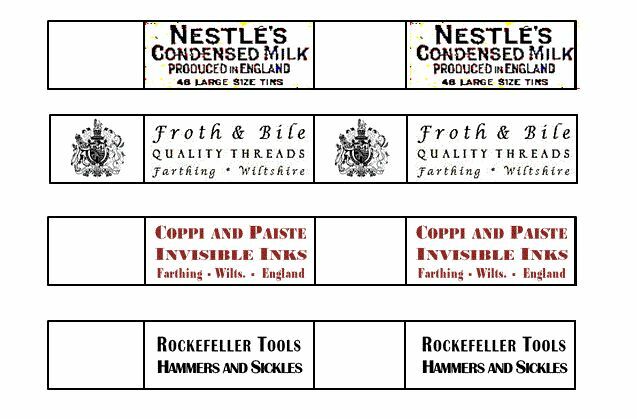 Farthing wasn’t far from Britain’s first Nestlé factory, built at Chippenham in 1873 for the manufacture of condensed milk. 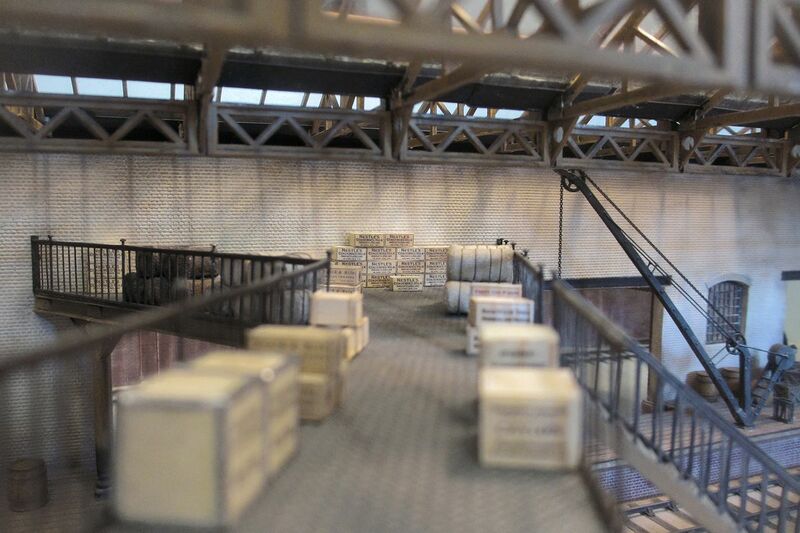 This part of the goods depot was inspired by the balcony floor at Hockley Goods, which seems to have been used for similar purposes. 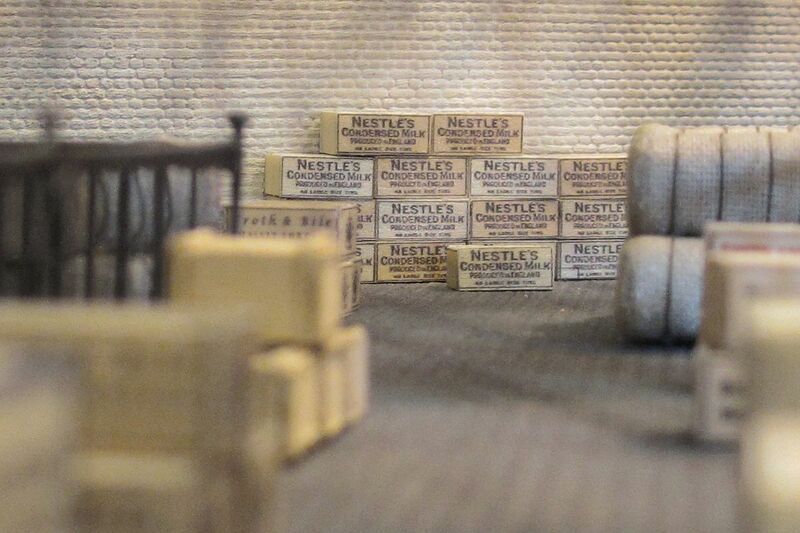 I wanted to capture that light wooden look of a new crate, and wasn’t quite happy with the texture of ordinary paper. 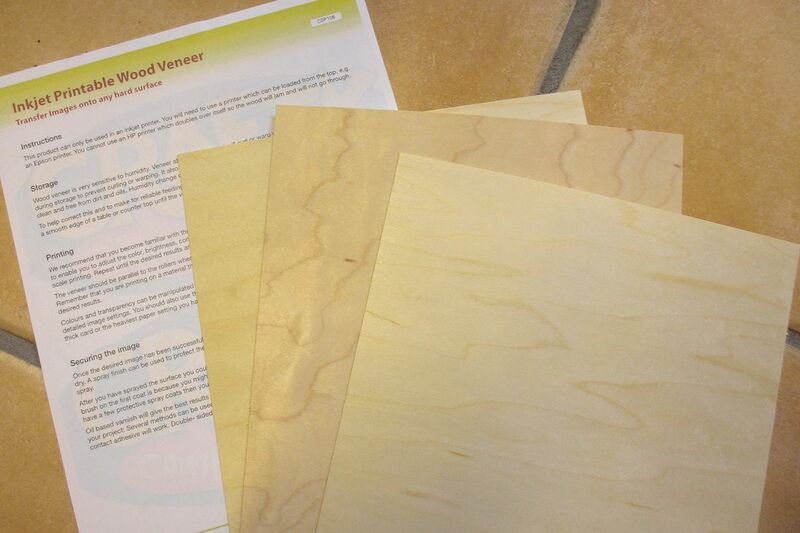 After searching the web I came across these veneer sheets intended for creative photo printing. I bought mine from Crafty Computer Paper (no connection). It’s important to note that these sheets only work with top loaded ink-jet printers. They will jam if you use a printer where the paper bends over on itself. 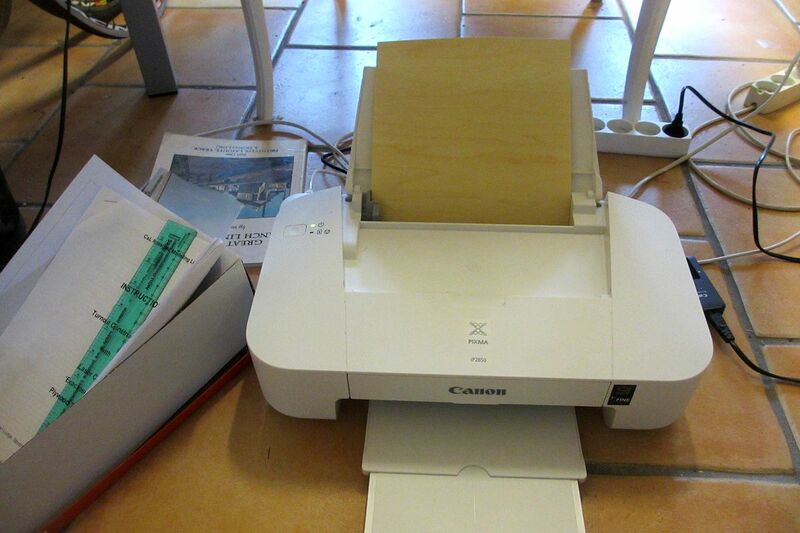 I have a cheap top loaded Canon IP2850 printer, which cost about 30£ a year ago (colour cartridge included). It does take the sheets, although each sheet needs to be pressed down gently when the rollers try to “grab” it. 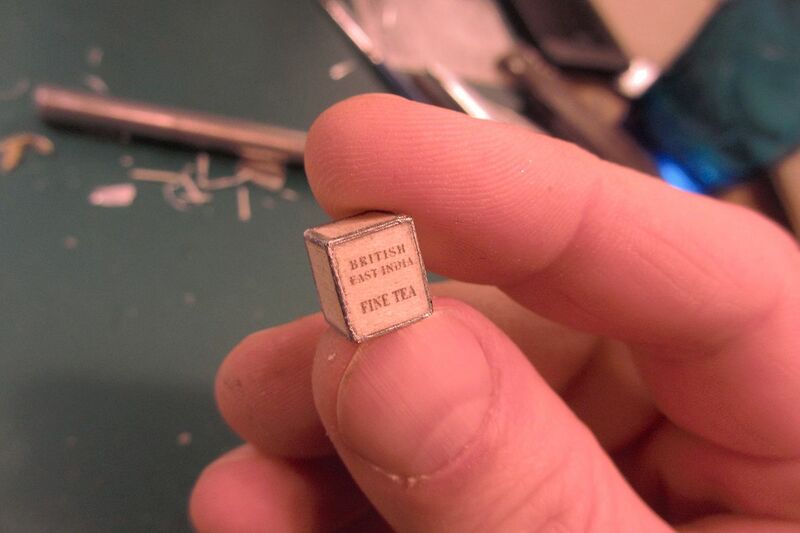 I would be weary to do this on a high-end printer! Test prints suggest that the wood effect is pretty much as I had hoped. 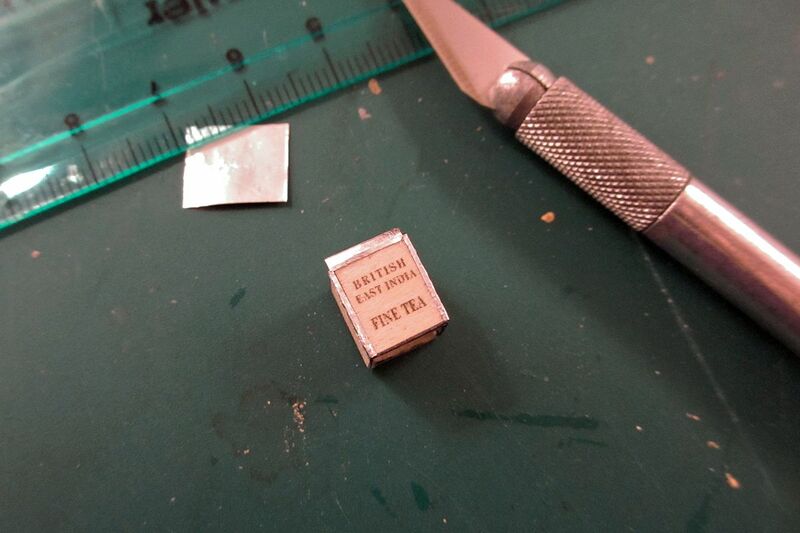 The lettering comes out OK I think, although I’m sure a more expensive printer could give an even better result. 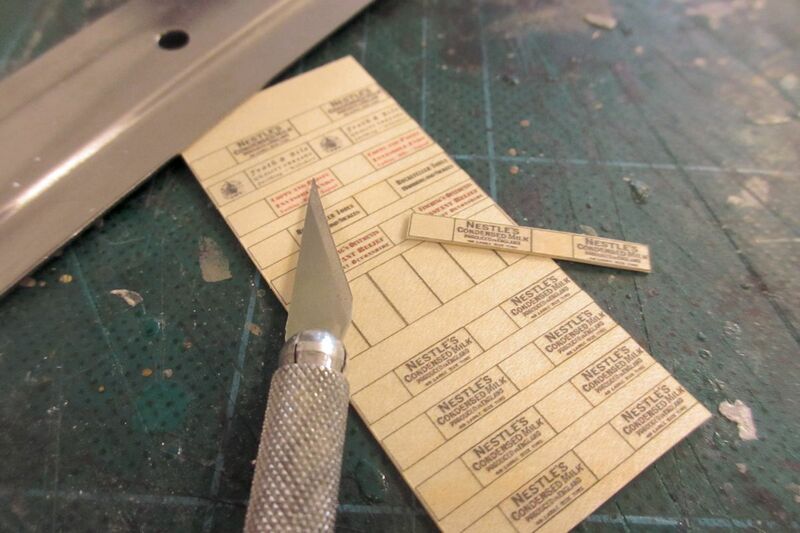 The veneer sheets can be cut fairly easily with a normal scalpel. I've experimented with two different ways of building the crates. The first and most laborious method is to cut out each side separately, and glue them on a block of laminated plastic rod as seen above. This method gives a fairly neat final appearance, as seen above. This pic also shows the texture of the veneer, and how the different shades of the sheets can be used to add subtle variety: The ones on the left are from one sheet, the ones on the right from another. 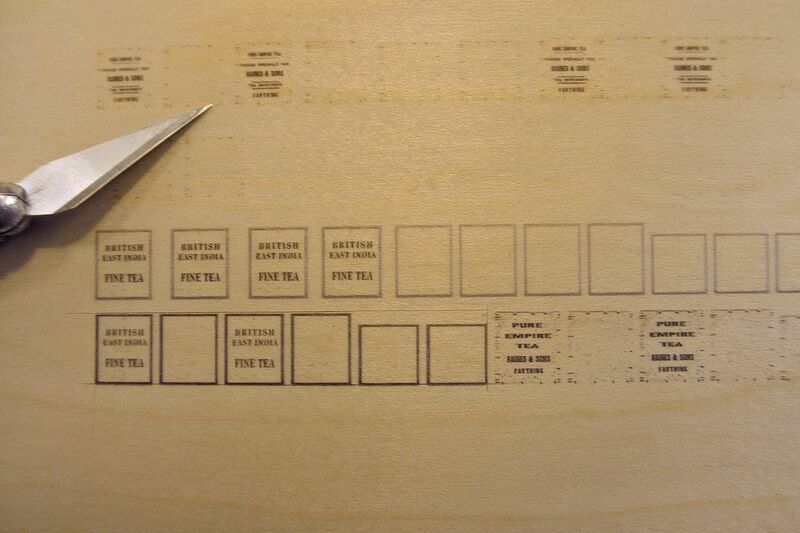 A quicker method is to cut each crate out in one piece, and lightly scribe the rear of the veneer at the corners with the back of a thick scalpel blade (a sharp scalpel or deep cut will break the veneer). 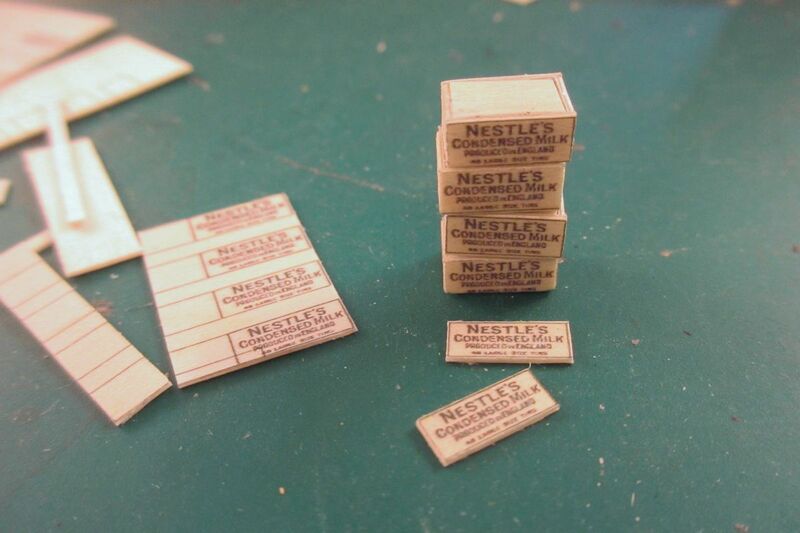 The crate can then be folded and glued with a good quality card glue or similar. 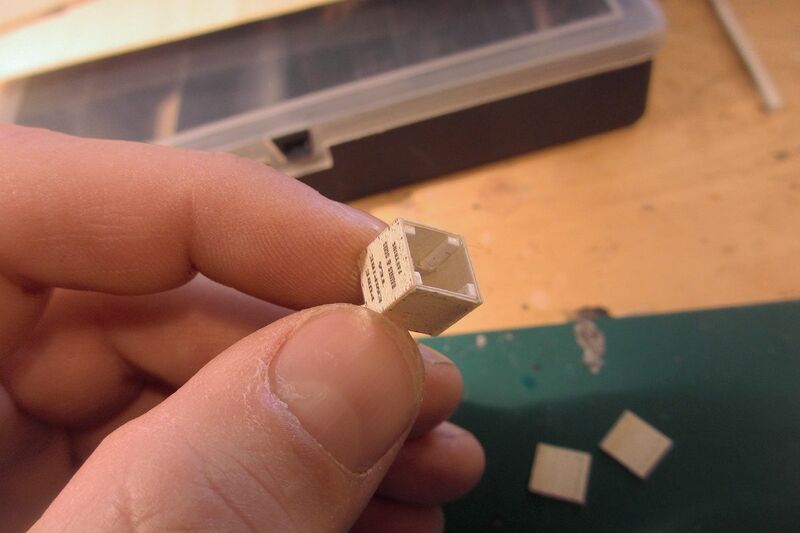 You inevitably get a light tear at the corners though - so this method is best for crates that aren't seen close up. I've made rows of stacked crates by glueing individual sides to the front of a long block of laminated styrene strips, as seen above. Saves time, and can't be seen once completed. 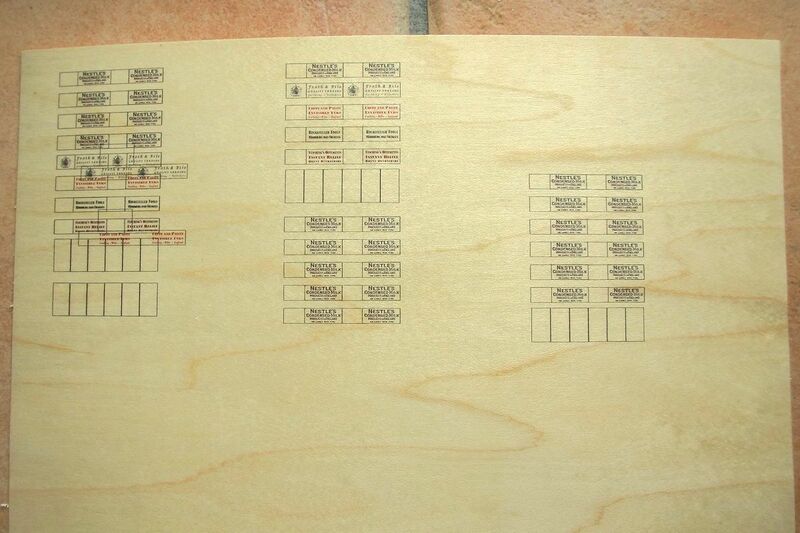 The fake rows can then be stacked and glued or just blu-tacked together. 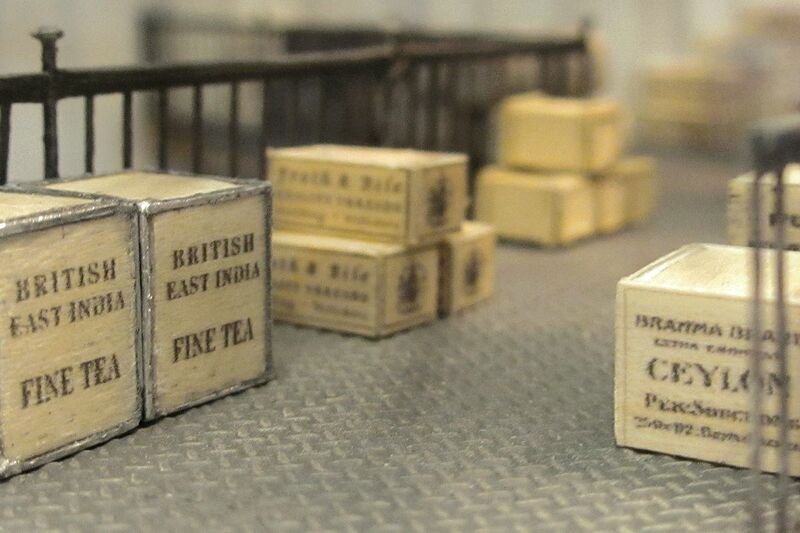 The tea chests are based on real ones but photoshopped to fit my setting and period. 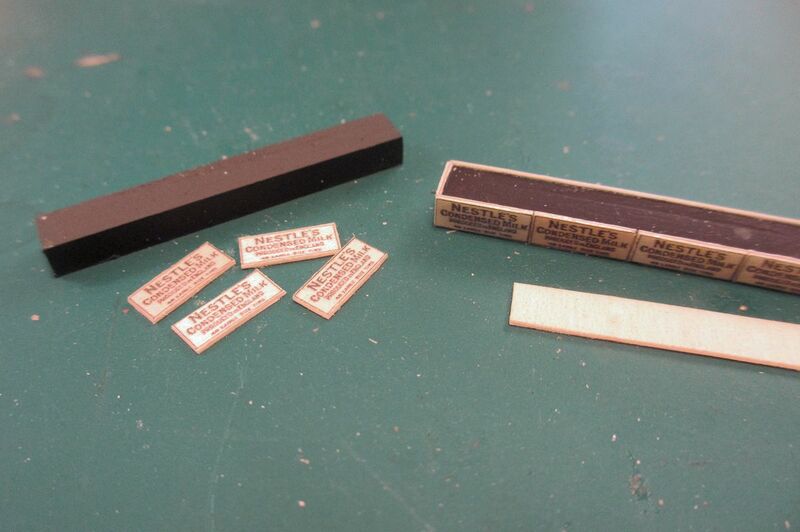 ... so thanks to Dave and other helpful modellers on RMweb I tried using the dull side of foil for the metal edges. I cut the foil in strips and then fixed it with card glue to one side first. It can then be bent around the edge and stuck to the other side. It’s worth the effort to spend some time cleaning up the edges afterwards. 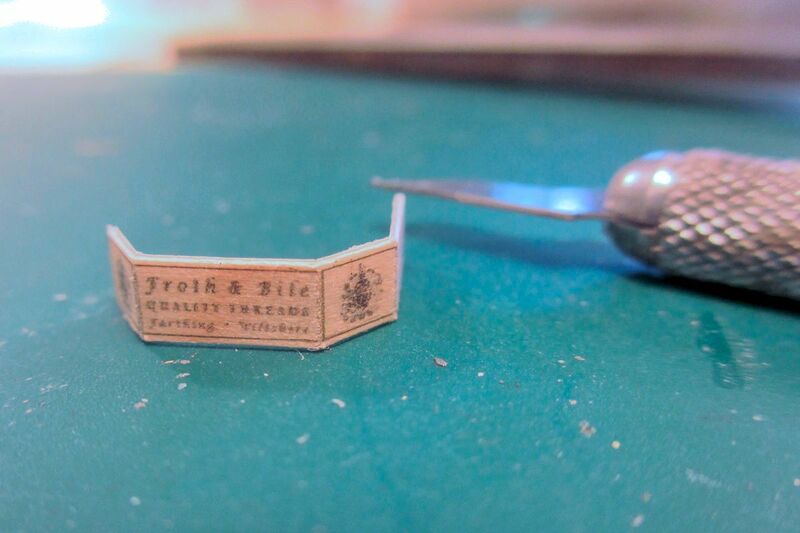 With a ruler and sharp scalpel, edges can be trimmed straighter and narrower as required. The superfluous foil can be scraped off leaving no visible mark. Small problem areas can be fixed with a quick lick of metallic paint. The veneer is very forgiving, so paint can also be scraped off if necessary. The crates are strenghtened inside like this. 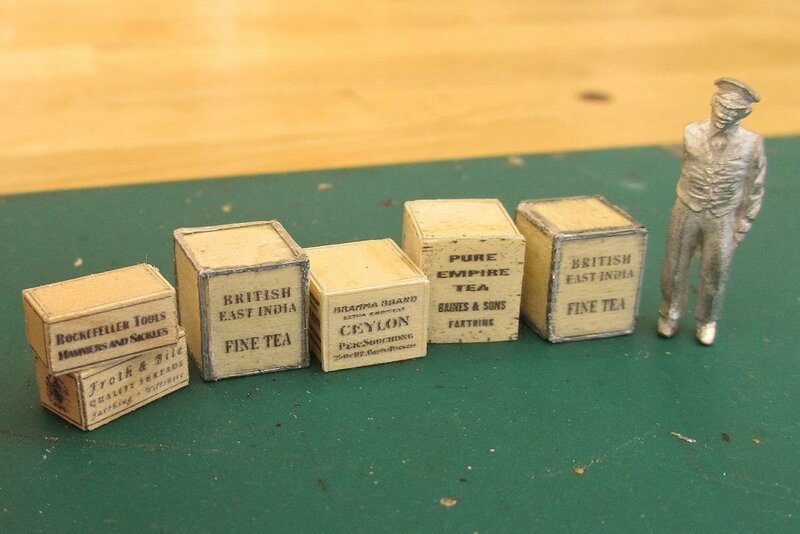 The tea chests represent different types and sizes, some with metal sides and some without. Judging by photos I have seen, the metal edges don't seem to have been common until the 1920s or so. As mentioned earlier, the sheet itself is quite forgiving and glue and paint can be scraped off without leaving much trace. The lettering is another matter. 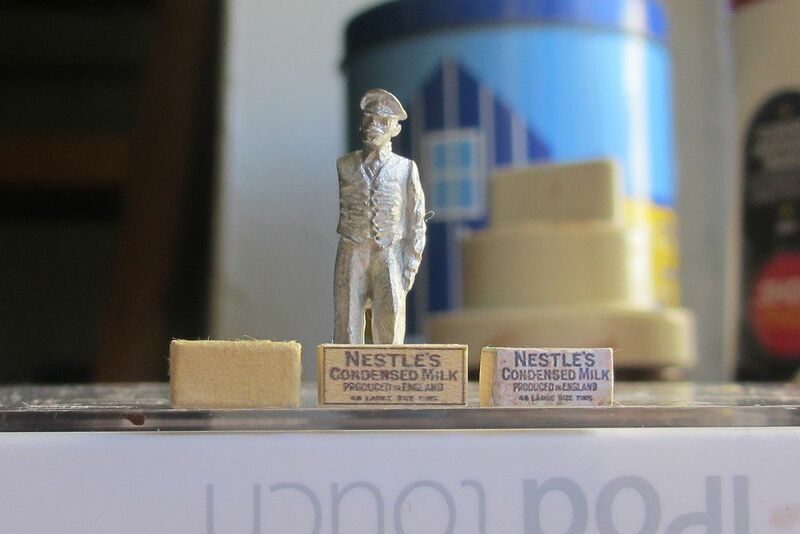 The print on the right has been treated to a light coat of Vallejo matt varnish! 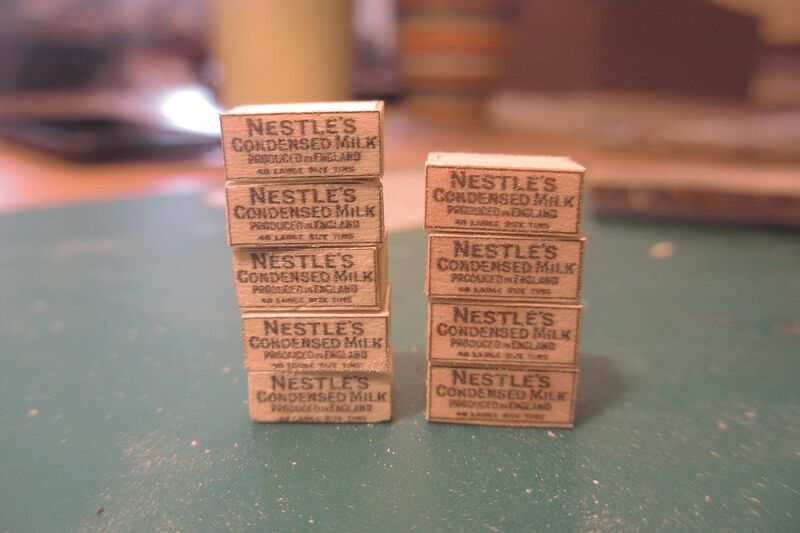 Finally a comparison between a veneer crate, an earlier paper-printed effort (right) and a parcel made from Manilla envelope paper (left). The crate has that nice and square look. Thanks to all who have helped and contributed to this little project!